51% of Estonia is covered with forests. It’s everyman’s right to camp, completely free of charge, in the forests or next to the hiking trails run by the Estonian Forest Management Centre, and spend the night in a forest cabin, or sleep in a tent. The hiking trails and camp sites are valued for their wonderful nature – a potential great match for contemporary architectural thought! 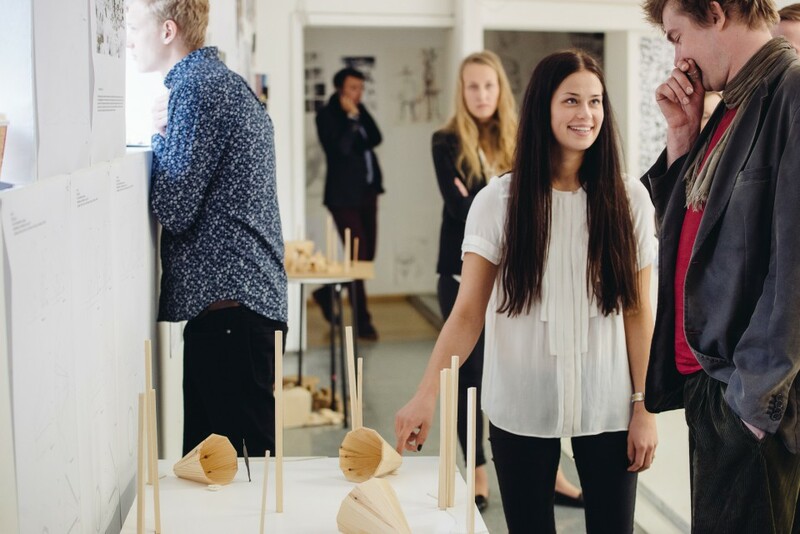 The project brief for the first year interior design students of the Estonian Academy of Arts was inspired by the idea of a forest library from Valdur Mikita’s book entitled ‘The Linguistic Forest’. 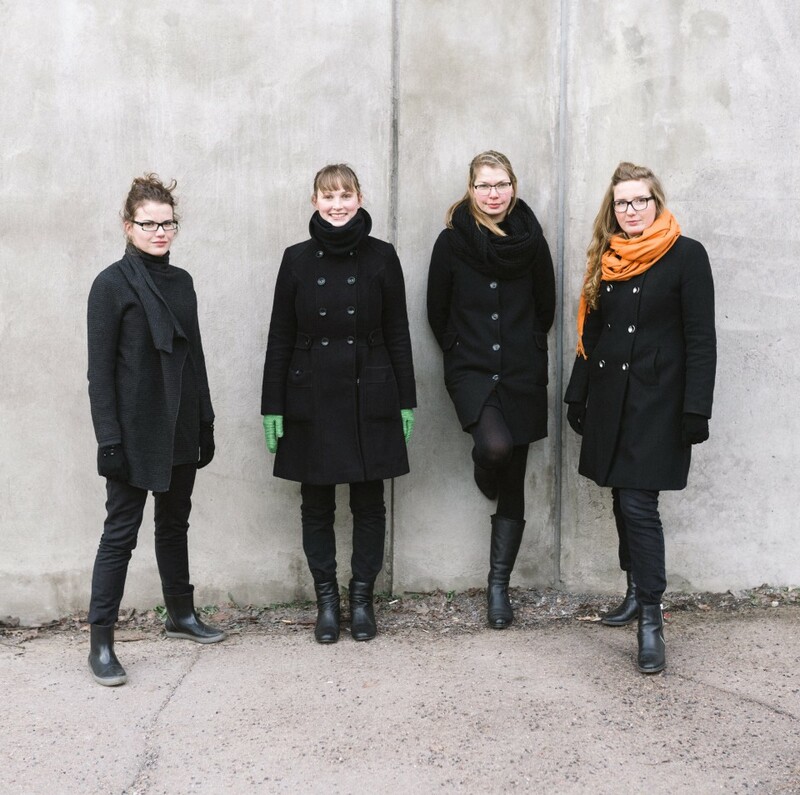 An Estonian bestseller, it explores in an ecstatic and playful way the deep connection of nature and culture by revealing how the Estonian language and culture is rooted in nature. The concept of forest library was up to us to interpret – an intriguing challenge both to us and the students. What is a forest and being in a forest? How to survive in the forest and take advantage of the existing? How do the climatic conditions control the space, how to design together with the nature? How to act in the forest if we can use all the digital instruments? What is the function of a forest library? What is a library, what is reading? What can we read in the forest? Do we need books? Can we read the forest itself? To inspire the students we invited a number of friends who all presented a topic connected to the brief. 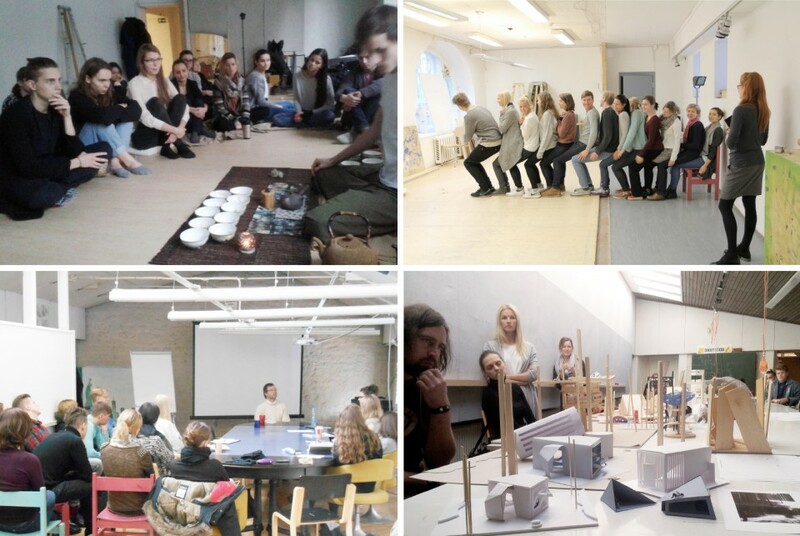 Herkko Labi performed a tea ceremony, Katrin Koov talked about hiking, Jaan Tootsen about solitude, Mikk Meelak about digital libraries and Henri Laupmaa about architectural responses to the big environmental trends. Grete Veskiväli choreographed simple exercises about the body and space and Maarin Ektermann gave an overview about self-initiated art practices. We also visited Viimsi Nature center and the representatives from Forest Management Centre gave an overview about Estonian wood industry. We had a legendary Estonian engineer Tõnu Peipman consult the students on the construction aspects. 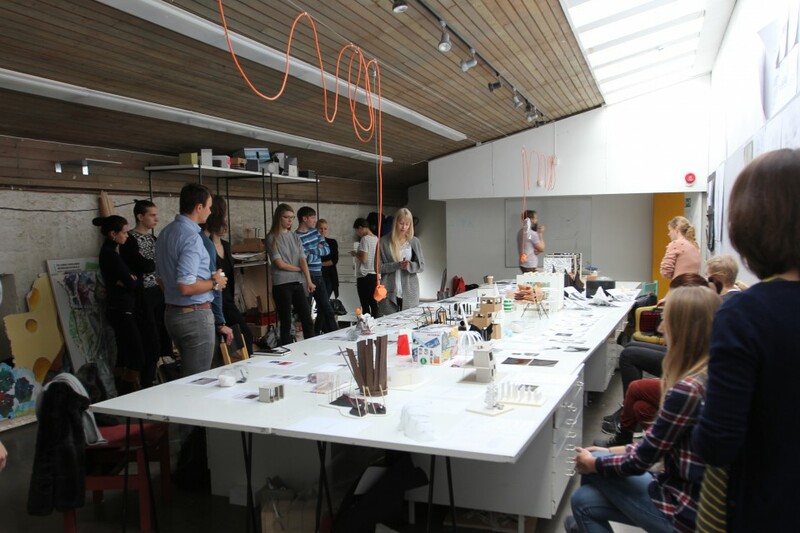 When we were halfway through the program, the Estonian designers Ahti Grünberg and Tõnis Kalve joined the team. Teaming up with furniture designer resulted in the making of stronger projects – that had a profound idea behind them and that, at the same time, paid great attention to details and materials, such as wooden detailing, hinges, clasps, textiles and so on. 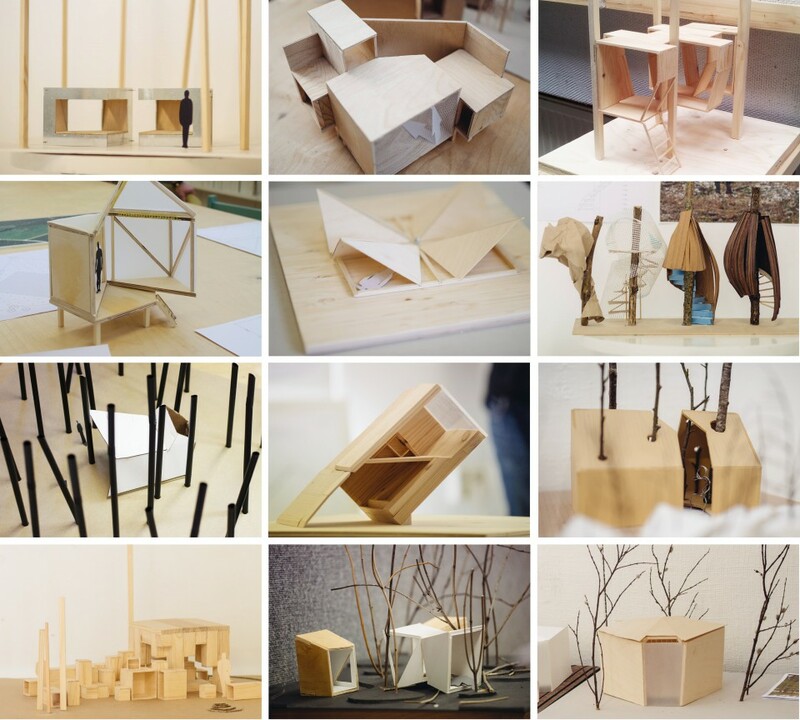 Alltogether 15 students designed their own forest libraries. When designing a hut every student ‘read’ different aspects of the forest. One student focused on reading the stars, other the rain, the animals passing by or the tree itself. Forest library was as an auditorium, a playground or forest furniture. In the end one of the design solutions was chosen to be built. 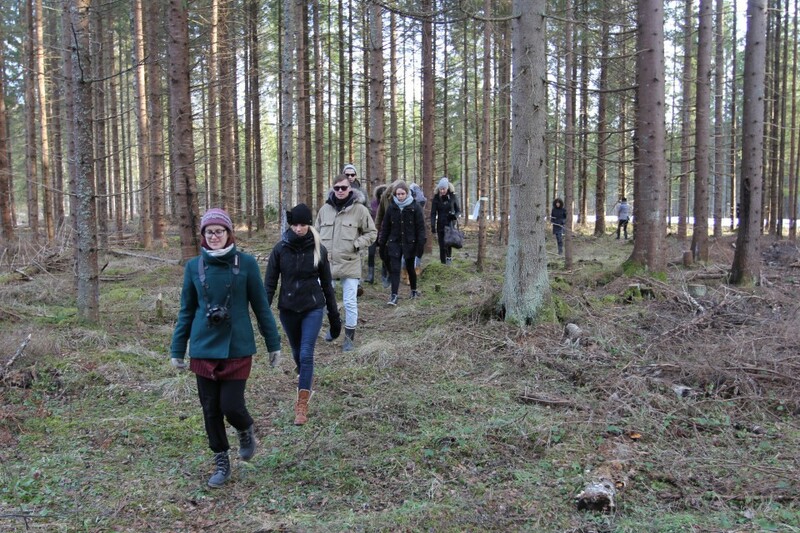 Together with students and other experts we chose the Forest megaphones by Birgit Õigus. 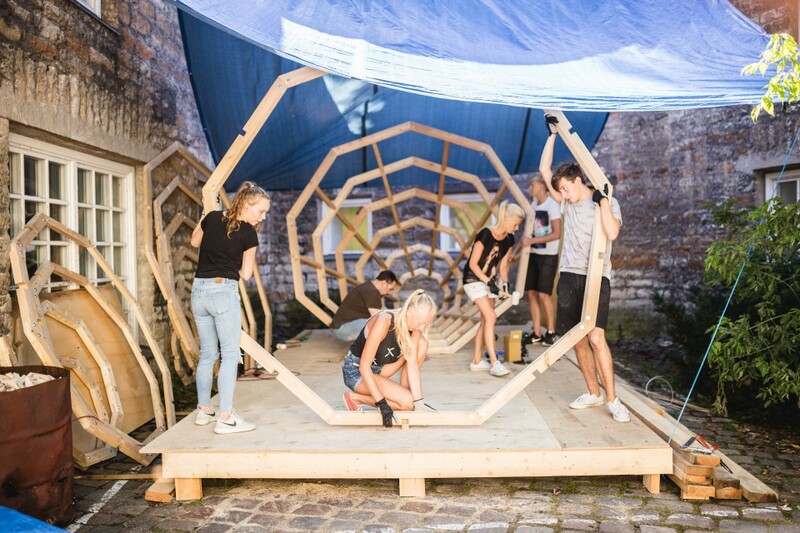 Most of the installation was built in a small courtyard in the old town of Tallinn. 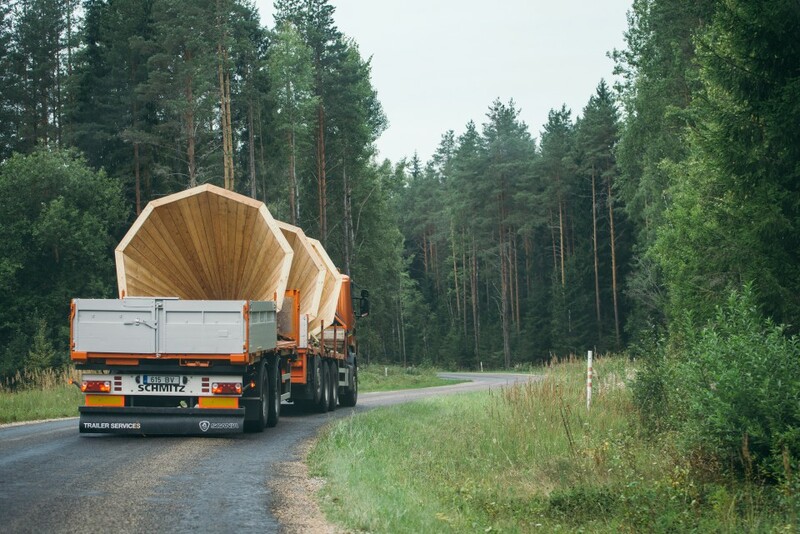 And then shipped to the forest in Võrumaa, Pähni Nature Centre, where it has been installed and opened for public. 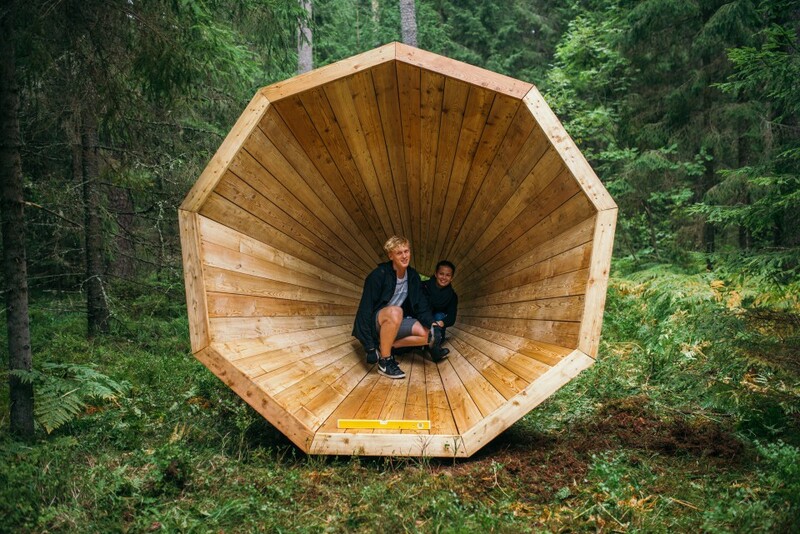 The megaphones are a surprise to the hiker – a shift in scale, an unexpected object on an absurd scale somewhere in the bushes near the Latvian border. It’s an extremely symbolic reference to the sense of hearing. The reference itself might be enough to inspire people to listen to the cosmos of the forest. When you pay attention, you might notice the way that sounds are amplified at the intersection of the three megaphones. You can sit down comfortably in each of the megaphones and they frame the sky one one side, and moss and blueberries on the other. The installation shakes up the perspective.